My name is John I was Diagnosed with AS in August of this year. I am 44 now and been living with this disease for 16 years. Back in late 2003 I was in so much pain that I could not walk for over 3 months I had filed for BK and left my job after 17 years under tons of stress. I would go to my local County Hospital thinking that I might have cancer all the test came back normal. I must have been in the ER at least 7 times in a 3 mouth period the staff in the ER was tired of seeing me and they thought I was a drug addict trying to get Pain killers. Well when I got medical from my spouses work then I got answers. If only one person reads this and finds out that they have AS that would be the greatest thing ever. Thank you for sharing your story with us. It breaks my heart to know we are treated as drug seekers even after diagnoses. I agree if this site helps one person to having a better quality of life, then all the hard work was worth it! Update 03/11/2012. Still in lots of pain. I am glad that I got diagnosed back on Augest 19 2011. I tested negative for the HLA-B27 protein but my Rhemy told me that 20-30% of AS patients test Negative. I will keep on fighting this Disease. Remember you don’t have to fight it alone. 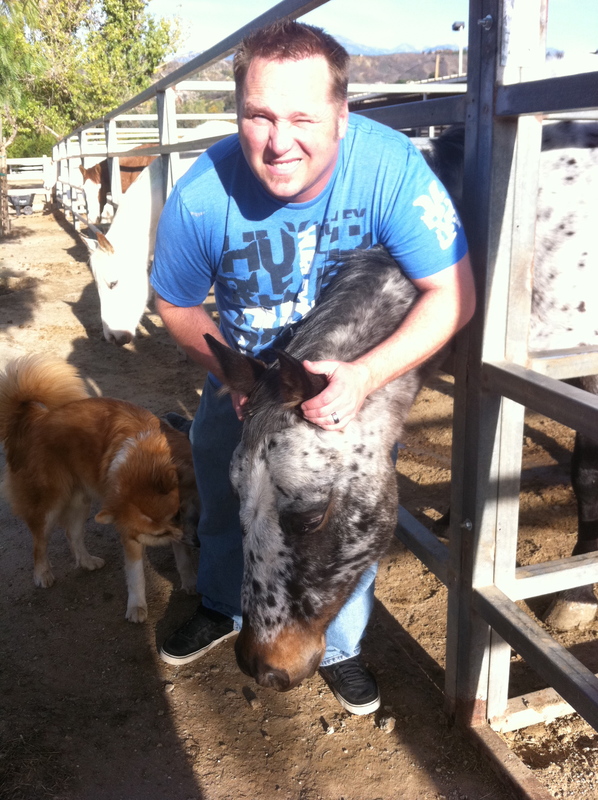 John, love the photo with the horse. They will add my story soon I guess. I just got diagnosed after 14 years of just dealing with the back pain and keeping it somewhat under control with Ativan, chiropractic and massage. Lots !!!! That’s what I seemed to spend all my money on was trying to buy health for myself even with insurance. How are you doing now? Hi still in lots of pain. It’s good to finely know what I have. They say that mostly men get AS but I don’t believe that I think it’s Equal. My Rhemy wants me to start taking Enbrel but I don’t like the side effects. How are you handling ur AS?